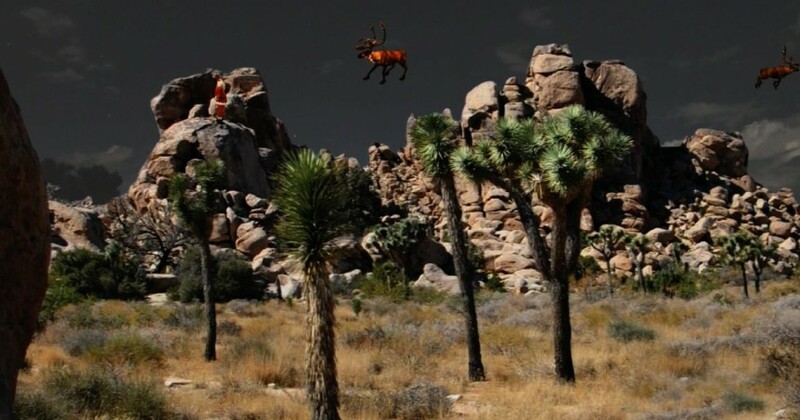 Santa Claus loves to watch his merry reindeer fly and he headed out to Joshua Tree National Park to let them practice. Watch as Santa enjoys seeing his reindeer practice their beautiful flying skills captured on film by our video elf Ribbon. Even though Joshua Tree National Park is named after the famous caucus, Mojave National Park has more Joshua Trees. One of the favorite tourist spots in Joshua Tree NP is the famous Skull Rock, this rock formation has the form of a skull and entertains millions of visitors per year.